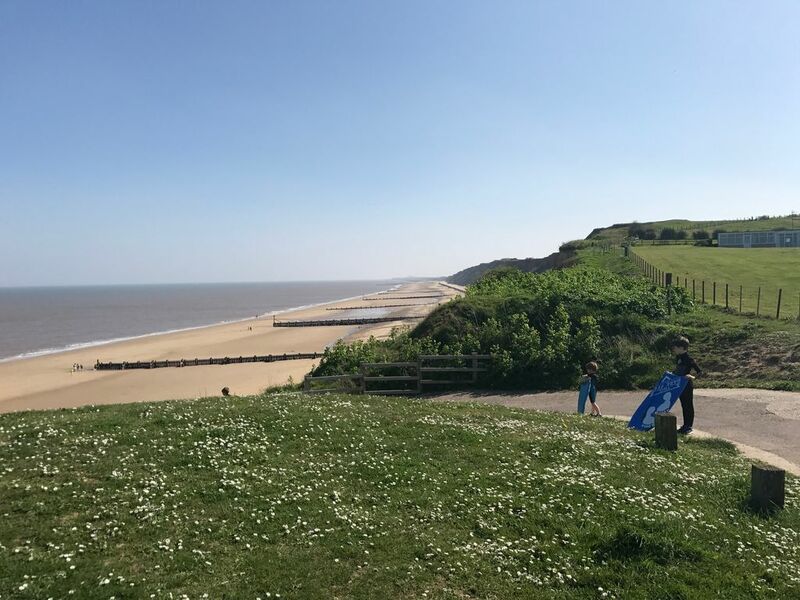 Tower house is a large, 5 Star, award winning Victorian family home, situated in Mundesley, a small seaside village with a blue flag sandy beach, on the north east heritage coast of Norfolk. It is the perfect setting for large family gatherings or special occasions, with a fabulous kitchen to 'gather' in and excellent games room and garden to keep the children entertained. The house is tastefully decorated and welcoming, with enough room for the whole party not to get under each others feet! We have 29 'Excellent' reviews on Trip Advisor and a 'Certificate of Excellence 2017'. The house can sleep 18 (max of 14 adults) in 9 individually designed bedrooms (2 are children's bedrooms: pirate themed bedroom with bunk beds and twin room with Alice in Wonderland theme). There are 4 high specification bathrooms (2 on the 1st floor and 1 each on the ground and 2nd floor). We have a large kitchen / diner, sitting room and a formal dining room. The house has a Sky package, WiFi and docking stations in most rooms. Fully equipped for a child friendly holiday we have a games room with air hockey, mini pool table and various games, role play kitchen, lego, dressing up costumes, books, puzzles and toys. Outside there is a great climbing frame, slide, trampoline and giant chess. 100 yards away we have the lovely sandy blue flag beach which has just won best beach in Britain (trip advisor) and a fabulous village pub within a few minutes walk from the house, with a garden and play area for the children. PLEASE NOTE THE HOT TUB AND PRIVATE CHEF ARE AT AN ADDITIONAL COST. Sorry, but we do not accept pets, Stag Parties or all male groups. I live in London with my husband, 3 sons and daughter. We discovered Norfolk a few years ago when we stayed locally for my husbands 40th birthday and fell in love with the area - its a traditional seaside village! Tower House is the perfect, spacious home for our family to run free and enjoy the fresh air, spend long happy family days on the sandy beach and generally put our feet up and relax! I do have a full time job so I generally respond to queries in the evening. Perfect location, 100 yards from the sandy beach, lovely quiet village, great local park (with skate park and (for a small fee) crazy golf) and the house is luxurious and comfortable for our large family to get together for special occasions. We love the fact its only a few hours away and when we arrive there is so much space and lots to entertain the children within the house and locally in the park or on the sandy beach, even in the middle of December! It gives us some great family time and also the chance to slow down from our busy schedules. If you plan to use the camp beds (and are below our max occupancy) please let us know so we can leave out extra linens. For the house. Please pack your own beach towels. Yes, free. Login details in the dining room. Two large sitting rooms with sofas, chairs, TV, full sky package, log fire; Sun room overlooking garden with chairs and lots of reading material, puzzles and games. A welcome pack is provided with some essentials; wine, bread, butter, jam, biscuits, tea and coffee (capsules and instant). We provide lots of crockery and cutlery, for more than one sitting! In addition to kitchen / family diner we have a luxurious dining room which seats 14 adults to celebrate those special occasions. sky package with films and sport. Docking stations in a number of rooms downstairs, in addition to each adult bedroom. Some childrens DVDs and a few adult movies/ series. We also have interactive DVD games for the family. For all ages in the playroom. Adults books in the sunroom. With dolls house, play kitchen, lego, duplo, air hockey, mini pool table, action figures, cars, dolls, supermarket, games, books, puzzles, sylvanian families, dressing up, ball pit, baby walker. Many board games, cards, puzzles for adults. We also have a roulette wheel and chips! With dolls house, play kitchen, lego, duplo, air hockey, mini pool table, action figures, cars, dolls, supermarket, games, books, puzzles, sylvanian families, dress up costumes, ball pit, baby walker. The other side of the village, 15 minute walk. We do not have a hot tub, although one can be HIRED for the weekend - we can recommend a local supplier. The cost for a weekend is approx £180. Notes on accommodation: Please access our website for full details on the property, or go to Facebook: www.TowerHouseNorfolk.co.uk www.facebook.com/towerhousenorfolk We are also on trip advisor: http://www.tripadvisor.co.uk/VacationRentalReview-g946276-d6154759-Tower_House-Mundesley_Norfolk_East_Anglia_England.html Outside: The garden has a dining area (seats 18) with barbecue. There is a separate sofa (seats 16) area under pergolas at the back of the garden. There is a climbing frame, enclosed slide, 12ft trampoline and giant chess for the children and a mini slide and tikes rockers for toddlers. Utility Room: Washing machine, dryer, hoover and cleaning equipment. Child equipment; high-chairs, stair gates, travel cots, bottle steriliser, baby monitors and other bits and pieces stored in here. Cleaning / Towels / Linen / Maid service: Luxurious marine based toiletries for every adult guest. Towels and linens included. Cleaning costs included in price, but we ask you to leave the property as you find it. Additional mid week cleaning can be requested during a weeks stay, at extra cost. Other: Games room with air hockey, karaoke machine, toys, puzzles, books, dressing up costumes, Lego and lots to keep the children amused! This house is amazing! Great for families. Arrived to flowers and wine from owner. Beautiful house very nice bedrooms and bathrooms. Lounge seating was very comfortable, kitchen well stocked with crockery, glasses etc plus fridges freezers (plural) washing/dryer, dish washer. Playroom was amazing from baby toys to fancy dress outfits for young and older children. Garden toys and hugh chess set. Would thoroughly recommend this for groups and famiky gatherings. Tower House was a great place for our family ranging in age from 10 months old to over 60. The kitchen had everything we needed and the bathrooms were amazing. The children loved the games room and the outdoor play equipment. It was wonderful to be able to walk to the beach and up into the village. Crazy golf was also a great hit with the whole family. It was exactly as promised. Everything a group of family/friends could ask for.We had a wonderful time at The Tower House. Ideal stay for large family gatherings, celebratory or holiday, well equipped, spacious& lovely rooms, we did not want to come home! 100 yards to the blue flag sandy beach. 10 minute walk to the heart of the village: butchers, deli, bakery, post office, florist & SPAR supermarket. Tesco local another 5 minute walk. Please look at our website for more information on the house and the local area. Also look at our fantastic reviews on Trip Advisor! Booking Notes: 30% non refundable deposit at booking. Balance due 8 weeks prior to commencement of your holiday along with a £500 security deposit (refundable within 7 days of departure, subject to inspection). Accept cheques, bank transfers and paypal. Changeover Day: Friday changeover; 4pm arrival 10am departure Notes on prices: Minimum 7 night bookings during the school holidays. Our nightly rate is available outside of the school holidays, for a minimum of 3 nights. Weekend starting Fridays / Mid Week stays starting Monday.